White decors for Christmas is a great choice to feel the presence of snow around us. White always creates the impression of brightness and neatness, it really goes well with both warm and cold colors. White Christmas is extremely rare so, let’s create the feel of being in Antarctica for this Christmas with these stunning snowy white decors. Candle lights create a divine look and feel to the surroundings. 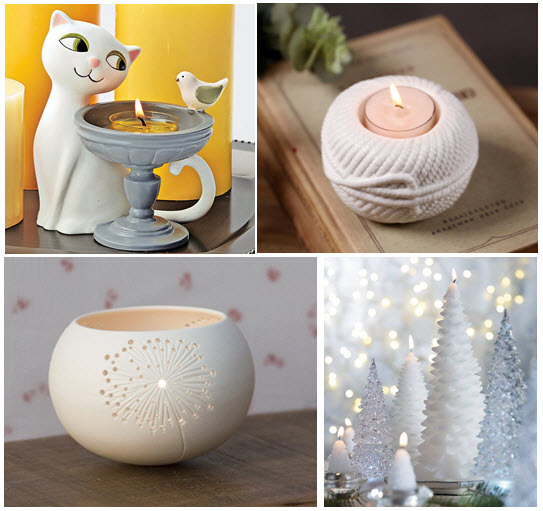 Add beauty to the candles and light up to bring a sparkling Christmas eve with the white ceramic wool coil candle holder, Christmas tree candles and the garden diva tea light candle holder. Invite “The light of the world” and bring home love, prayer, passion and hope this Christmas. 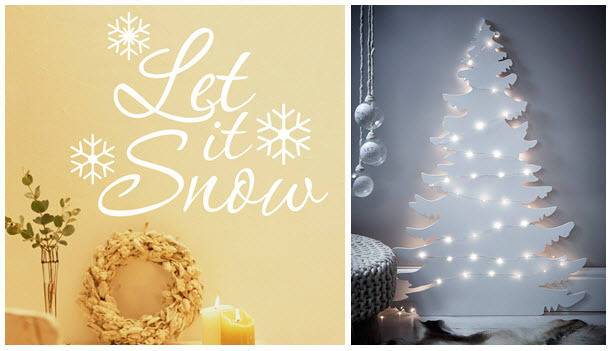 Bring in the feel of winter by decorating the Christmas tree with these unique white ornaments. The siscal feathered owls look very natural like real ones, the ballerina girl décor is a cute angel that would change the entire look of your tree. Try these ornaments to add instant wow- factor to your Christmas tree. Pillows can create seasonal changes in your home décor. 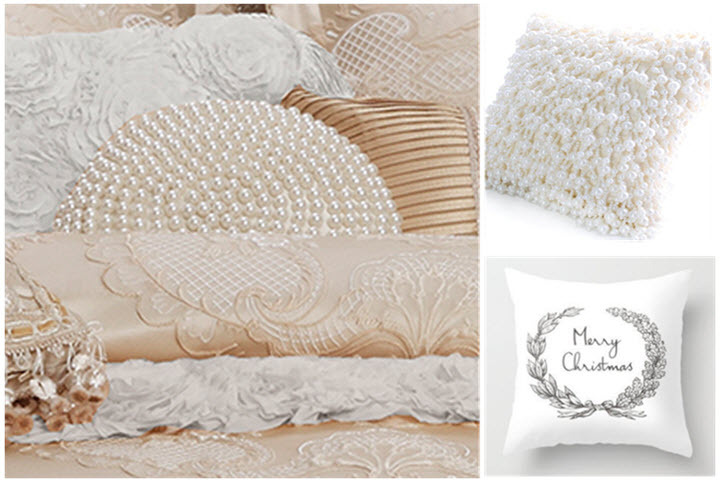 Choose the pearl bead luxury cushion, pearl round cushion and the merry Christmas pillows to refresh your décor with white – the sign of purity and peace. Wall stickers and arts play the role of a catalyst in changing the mood of a room. The Christmas vinyl craft and the “let it snow” wall sticker are sure to bring in the cheerful holiday mood this Christmas. Also get personalized stickers with touching words to share blessing or best wishes for all who enter your home sweet home. Never leave your walls plain and dull this festive season. Take time to decorate your tree and wall equally. 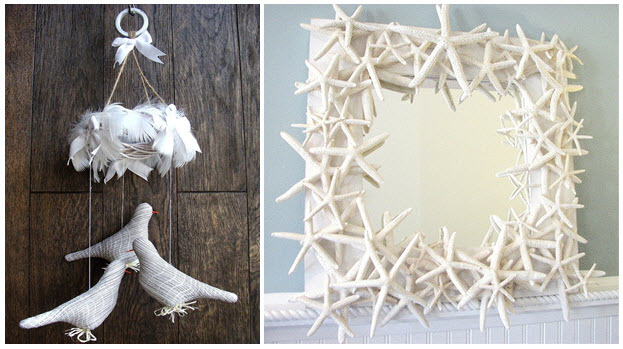 Any kind of frames, wreath and even a mirror can give an amazing look to your walls. Hang the white finger star fish mirror and the hanging bird feather wreath to create a winsome wall hanging that brightens up the wall. Impress your family and friends with these cute decorative white dinning ideas for the Christmas feast. The white porcelain glazed bird ceramic tray is so attractive and unique. The pottery seashell fruit holder along with the happy vintage snowman salt and pepper shakers will increase your urge to dine in to enjoy the amazing beauty of your table. Create a white winter wonderland at home this Christmas by adding decors with smoky white finish. 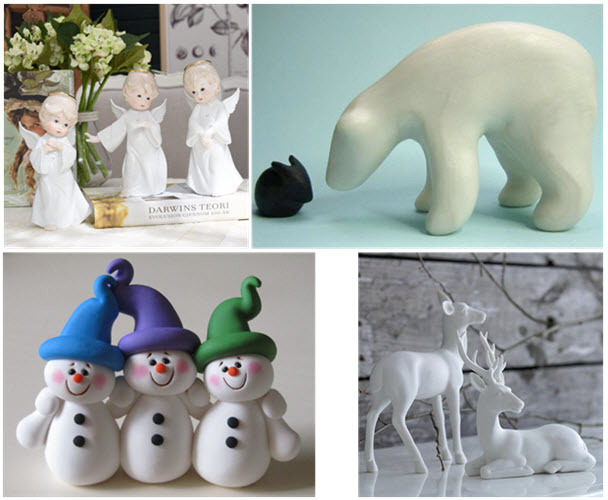 Display figurines like the polar bear cub with artic rabbit, snowman friends, pure white reindeers, ceramic cute angels near your fire place, in side tables, as centerpieces to look and feel the effect of snowy Christmas at home. The figurines can also be a cute Christmas gift for your loved ones. White – the wintery color is perfect for every space. You can experience a clean and fresh feel at the glance of the color, it is the most refreshing color of the spectrum. 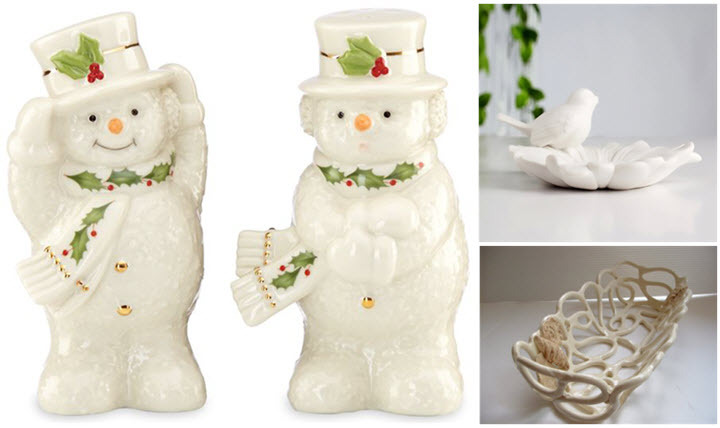 Fill your home with these snowy white decors to create a welcoming and comfortable holiday mood this Christmas. 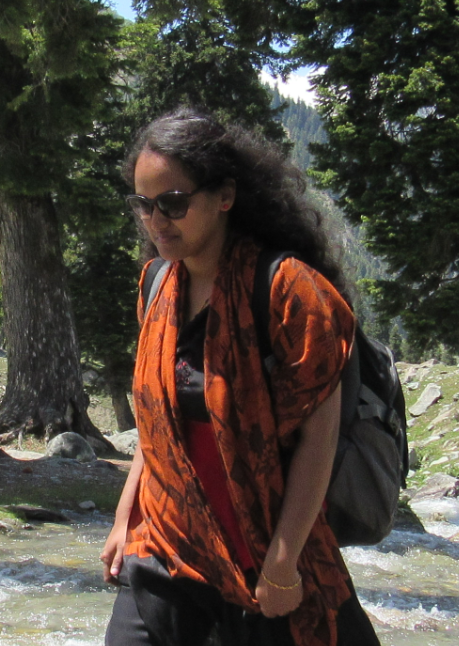 If you come across any unique white décors, do send it to us so we can add it to our list. WISHING YOU A COOL AND MERRY CHRISTMAS….